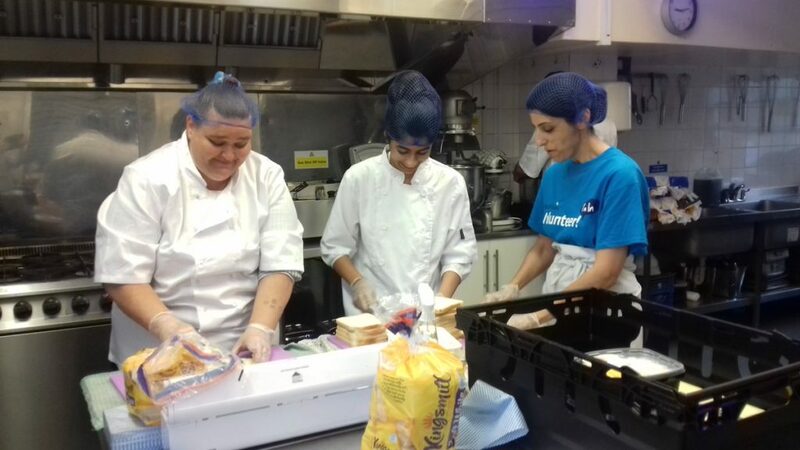 Action Homeless, in partnership with Leicester City Council, is looking for community organisations who can help us deliver a Holiday Hunger project through the summer, building on a pilot developed last year. The aim is to provide 7,000 meals through the Summer Holiday period (16th July to 26th August) for children who normally receive free school meals. The lunches need to be nutritious and offer some variety but are easy to prepare. As well as food and social activities, we would like to involve children and young people in the preparation so they can learn new skills like cooking and budgeting. The project will also support the identification of any issues where families are struggling to cope through the summer so that they can be supported. Your organisation can benefit too, developing new capacity, capability and employment, better enabling you to respond to the issues in your community. Action Homeless will provide all the food required free of charge and will support your group to deliver the programme. As a group, you will need to provide facilities that meet current food hygiene standards and Action Homeless can help to ensure that your group meet these. There will also be support to buy equipment to produce the lunches. You will need to recruit and manage a small team of volunteers who will also need to have Food Hygiene Certificates. Again, Action Homeless can help with the recruitment and will provide this training. To support your work you will be given up to £1000 to cover your group’s costs over the period. To register your group’s interest, please fill in our registration form and return to eilidhstringer@actionhomeless.org.uk by 5pm on Friday 1st June 2018. If you have any questions about the form please call us on 0116 2211851.